This little utiltity makes it marginally simpler to edit the xml file you need to maintain your RSS feed. 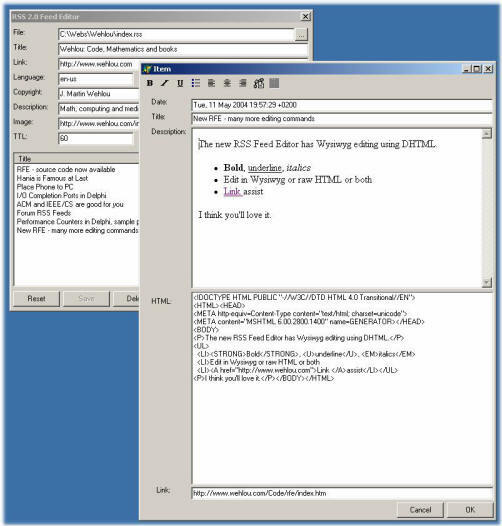 It reads the RSS xml file directly and lets you edit it. It does not use any other form of database for the contents. It allows you to use boldface and italics in the description, since it uses the Windows DHTML editor. It also shows you the raw HTML in a second window and you can edit either one.